One of the most difficult decisions a pet owner has to make, is the decision whether or not to euthanize a terminally ill pet. Fortunately there are some guidelines to help determine the quality of life your dog has left. As you know your dog best, the decision regarding euthanasia is always yours to make, but you might want to discuss your feelings with your vet or other pet owners who have taken the same sad path. No one else will understand completely. - Can your pet eat and drink in a normal way, or does he/she needs to be assisted? - Does your pet urinate and defecate in a normal manner? - Is your pet still part of the family, or does it seclude itself from its family? - Does your pet still recognizes you? Making the decision to euthanize your precious pet is never easy and can be heartbreaking. This decision is usually made under great emotional stress. On top of that, sick animals seldom show pain, which makes it even more difficult to determine the 'perfect' time to say goodbye. If your spouse thinks it is time and you do not agree, you have a real dilemma and you should consult your vet. In my opinion it is time when the bad days begin to outnumber the good days. If your dog is diagnosed with MH, he/she has an incurable fatal disease and will soon get worse. If the dog is having more bad than good days, and you are able to stop the dog's discomfort in a painless and respectful manner, why not allow the dog to pass away peacefully and dignified? It may sound silly, but you should also consider asking the dog itself. Take your dog to a quiet and private area. Hold him/her in your arms. Comfort him/her and talk it over... just you and your dog. And if you listen well, the answer is very clear. It's not easy, but when all is said and done, there is only one thing left: the ultimate way to show your dog that you really love him/her. When you make your decision and you go to your veterinarian, it is a good idea to explain to him/her that you have never had to go through such an experience before and that you have no idea what to expect regarding the procedure. We are Dutch and my vet gives a sedative tranquilizer prior to the euthanasia drug. The tranquilizer is given as a painless injection under the skin (like a vaccination). My pet slowly falls asleep. At this point our vet leaves the room and gives us some quiet time to say goodbye. I always choose to stay till the bitter end. I think my pets deserve that final act of respect. It is difficult and I always cried (boy did I cry! ), but they have given me so much! Why should I leave them in their final moments? I know some pet owners regret not being there when their pet was being euthanized and now feel like they abandoned their pet at a very crucial time. This feeling of guilt will never really go away. I think your personal discomfort should not control your decision whether or not to be present. I always chose to hold my pet and if possible even have him/her in my arms at the time of its passing, no matter how difficult that is. - the eyes don't close. - there may be a last gasping of breath and/or some vocalization. - the heart may continue beating for a short period after breathing has stopped. - the urinary bladder and/or bowel contents can be released. Nowadays our pets are true family members. Losing a pet can feel like losing a child. Be assured that grief is normal, and you should express your grief. It is perfectly normal and acceptable to cry!!! This is a very sad time and you really have no need to pretend that you can handle it although you feel miserable inside. Vets are used to pet owners crying and they understand completely! 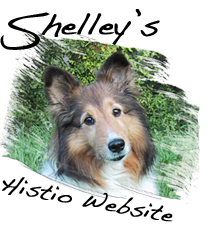 After your pet passed away you have several options for taking care of it's body. Options include cremation, memorial gardens, and cemeteries for pets. In Holland we are not allowed to take our death pet home for personal burial although some people do it anyway. We may choose to leave it with the veterinarian. In that case you should always ask what will be done with your pet's body. If you don't, you will always wonder, and your imagination will not be kind to you. In the weeks prior to Shelley's death we made the decision to bring her to the cremation service ourselves and pay for a private cremation, so that we could provide her a memorial at home. George called the cremation service long before that final day so that we knew their opening hours etc. There is no time to do this during the last moments with your pet. It's just too stressful. And you may end up doing something you'll regret later. When your dear precious pet has passed away, you can do anything you wish to ease the pain. Your first priority is to recover from the shock of losing your beloved pet. The weeks prior to his/her death your days were filled with worry and fear of losing him/her. It is not unusual to save a bit of your pet's fur as a physical remembrance. Place it's picture all thru the house. Burn candles in it's memory. Anything that makes you feel good. Now that your worst nightmare has come true, you have to digest it and try to get back to the normal daily routine. That takes time, so grant yourself that time, no matter what other people say! I personally experienced a long lasting sense of pain and grief after the passing of our Shelley. It felt like I had been hit by a truck. Part of the pain can come from having so few human friends who truly understand the deep sense of grief you are experiencing. Even though people don't actually say "It was only a dog" you can feel it linger in the air. You might be reluctant to reveal the true source of your grief for fear of ridicule. My own parents called me theatrical!!! They had no idea what they were talking about and we should ignore these remarks completely. So in my opinion, if someone hasn't personally experienced the loss of a truly beloved pet they simply are unable to connect with the one who is grief stricken by the loss. The real and true friends and the ones who have taken the same sad path might understand how you are inconsolable with the loss of your precious pet. So never feel ashamed or belittle yourself for having such strong feelings of loss and sadness. It's normal and unfortunately it takes longer than you'd expect to start feeling good again.